Packaged or Split System. 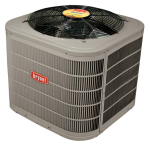 Central air conditioners come in two main formats, either with the evaporator and condenser coils packaged in one housing unit, or with the parts separated. When they’re split, the condenser sits outside and the evaporator is indoors, inside the air handler. A packaged system is typically used when you desire a roof-mounted unit, which frees up a small yard for landscaping or other activities; a split system is a more common configuration, but takes up real estate on the ground and in your home. Cooling Capacity. Air conditioners are rated based on their ability to cool in units known as tons. A ton is a measure of how much heat the air conditioner can remove from a home in one hour — one ton is equal to 12,000 BTUs of heat — but just because an air conditioner can remove more heat from a home doesn’t mean it will. 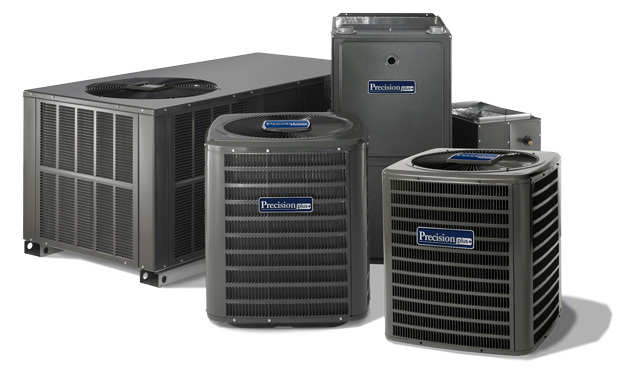 It’s vital that your new air conditioner is carefully matched to your home’s size. Your air conditioning professional will perform specific calculations that will help determine the right size unit for your home, based on the cubic footage being cooled, available shade, and a variety of other factors. Efficiency Rating. When you take proper care of your unit, it can be expected to last up to 20 years. Because of the longevity of quality air conditioning unit, it’s important to look for an efficient one that will save you money over the long haul. Efficiency is measured by the Seasonal Energy Efficiency Ratio (SEER), which is calculated by comparing the cooling output during an average season to the total electrical use during the same period. A higher number means more cool air for your electric dollar. Currently, 13 SEER is the lowest efficiency available, but in 2015, 14 SEER will be the new standard. Newer refrigerants have made it possible to achieve greater and greater SEER, in excess of 20 SEER in many split systems. If you will be in your home for the majority of the life of your unit, splurging on the most efficient unit you can afford will save you a lot of money over time. Placing your new energy-efficient unit properly and using it appropriately can increase your energy savings even further. If you’re looking to get everything you can out of your new unit, install a programmable thermostat to cut air conditioner use when you’re not home and install ceiling fans to spread cool air around, making your home feel chillier at higher temperatures. Many homeowners find they’re perfectly comfortable setting their air conditioners at 78 degrees if they have plenty of fans. Placing sun-blocking shades on windows that face the sun, shading your air conditioner and planning for the long term by planting trees around your home can further increase your air conditioner’s efficiency. When you’re not bringing extra heat into your home, your air conditioner doesn’t have to work as hard, saving you lots of electricity throughout the summer. Choosing a new air conditioner for your home isn’t rocket science. 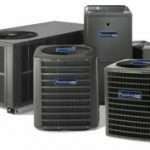 By knowing exactly what you need, you can ensure that your money is well spent on a unit that will cool your home for years to come, for significantly less than your old system. 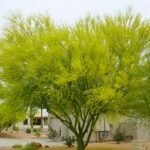 Does Landscaping Affect My AC Bill in Phoenix, AZ? How Much Does a New AC Cost in Arizona?